Yotel has announced a foray into the extended stay segment with the launch of the new Yotelpad brand. Building on the design principles of Yotel and Yotelair cabins, Yotelpad translates the essence of serviced apartments into purposefully designed compact homes, known as Pads, fulfilling the requirements of the global citizen at an affordable price. “Following the successful roll out of Yotelair and Yotel, we saw a natural opportunity to rethink the traditional extended stay segment in the same fashion we disrupted conventional hotel models,” said Hubert Viriot, Yotel chief executive. Yotelpad offers perfectly designed living solutions by optimising space and technology. Standard Pads will start from 20 sqm, but larger ones will also be available and will feature Yotel’s adjustable SmartBeds, comfortable work and relaxing areas, en-suite bathrooms, fully equipped kitchenettes and ample storage space. Yotel’s Technowall will enable Pad guests to easily connect and personalise the space to create a homely atmosphere. 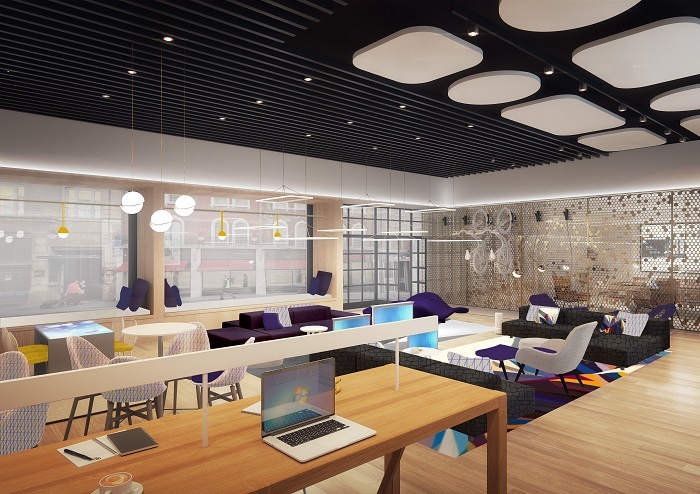 Communal areas and amenities will be programmed to the local environment and can include 24/7 gyms, bike and gear storage, Amazon lockers, laundry, home cinema and library as well as Yotel’s Club Lounge, ideal for co-working, meetings and entertaining friends or colleagues. Yotelpad will launch globally with the five projects already confirmed in North America, Europe and the Middle East. The first two to be announced are in Park City, Utah, and Miami. “The added benefit of introducing Yotelpad to our portfolio is that it not only allows us to enter a new market segment, but also enables us to operate in new locations, not naturally suited to our Yotel and Yotelair brands,” added Viriot.